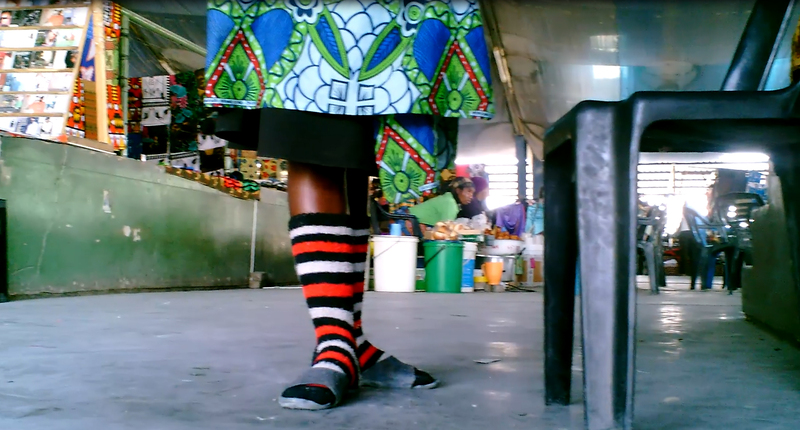 Heavily inspired by the great work of the Harvard Sensory Ethnography Lab I have been looking for ways to film people immersed in their daily routines in modern African society, once again involved into my favorite subjects mobility, consumption and transformation. 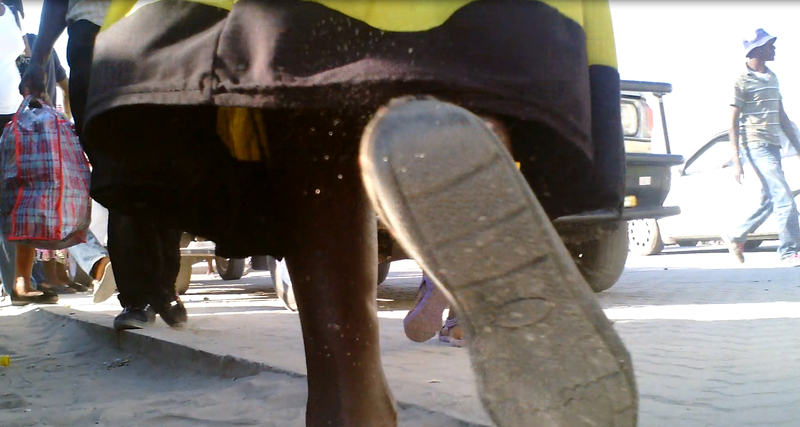 Since a camera in the face is annoying people I thought that a camera at the feet would do less harm and would not hurt privacy. 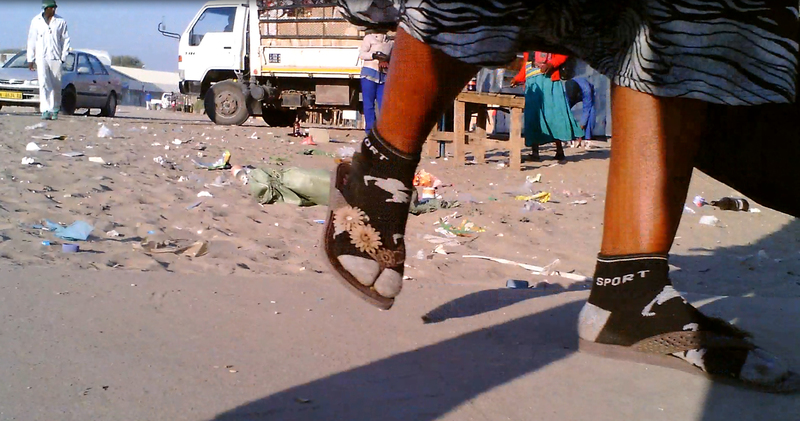 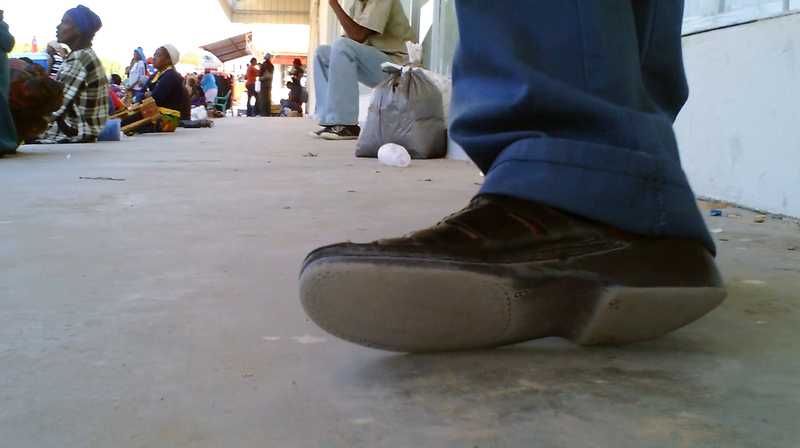 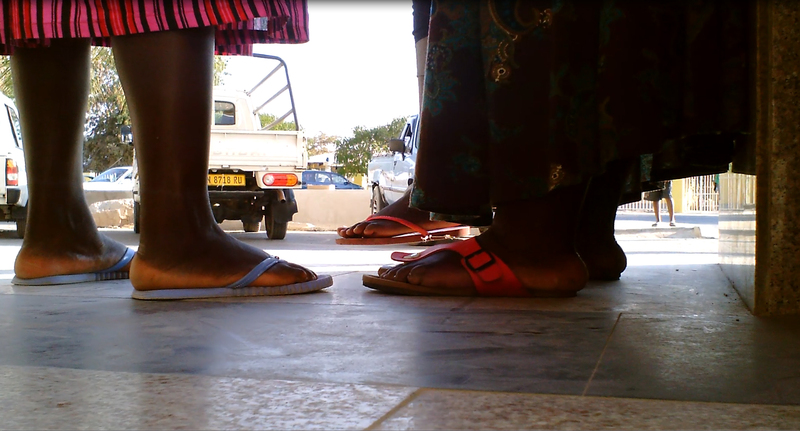 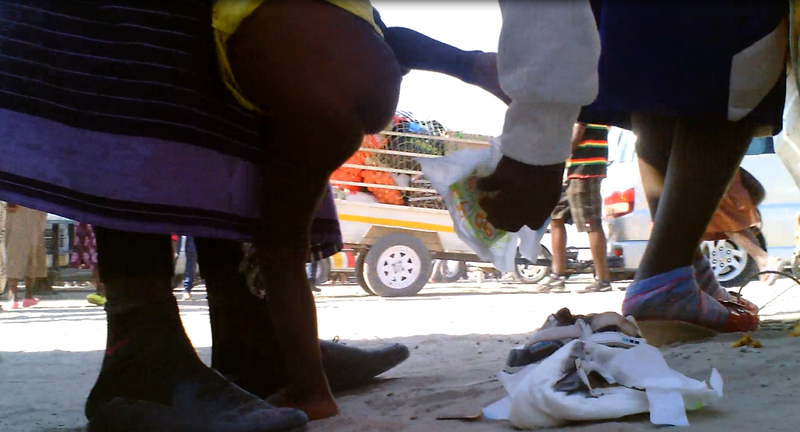 My family and I took time to follow peoples feet around Rundu town – and we caught some pictures proving that feet are persons of their own and that searching is like dancing. 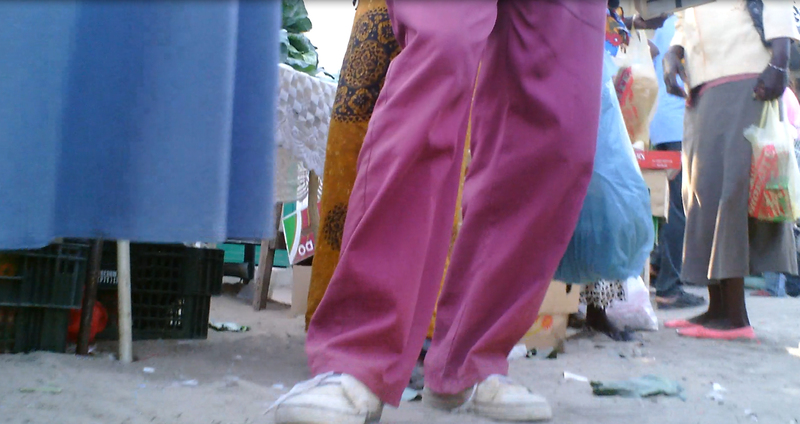 The film is still in preparation but some screenshots can be seen here.